It’s been an exciting few weeks as we continue to celebrate Women in Treasury month here on the Treasury Career Corner podcast, where I specifically interview female Treasury professionals who have successful treasury careers. I’m delighted to welcome Karen Van den Driessche, the Assistant Treasurer at Avnet, onto the show. Headquartered in Phoenix Arizona in the USA, Avnet is one of the world’s largest distributors of electronic components and embedded solutions. Karen is a capable, pragmatic and dynamic personality, gifted with an analytical mind and a knack for building lasting strategic alliances with her business partners. She enjoys working in an environment where creativity and ownership are encouraged and where people can rise to the challenge and deliver results. 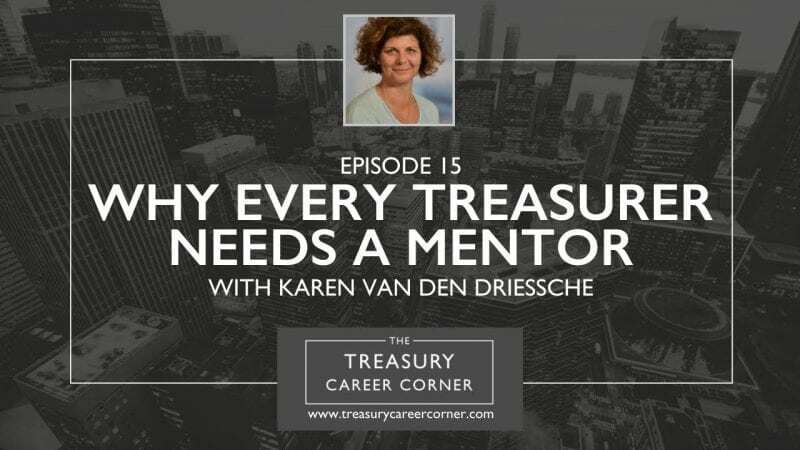 I thoroughly enjoyed my conversation with Karen as we explored everything from how she built her treasury career to where she sees both herself and the treasury profession going to next. We also talk about how she ‘gives back’ as the VP of ATEB the Belgian Treasurers Association and the benefits of having a mentor. Whether you’ve recently graduated, or you want to search for new job opportunities to help develop your treasury career, The Treasury Recruitment Company can help you in your search for the perfect job. Find out more here.